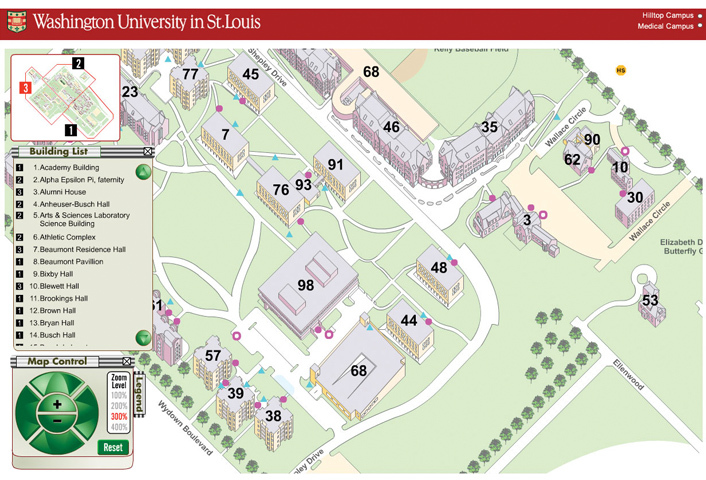 Rose Design converted existing CAD files and developed an interactive map that allows students and faculty to easily find the location where they need to go. 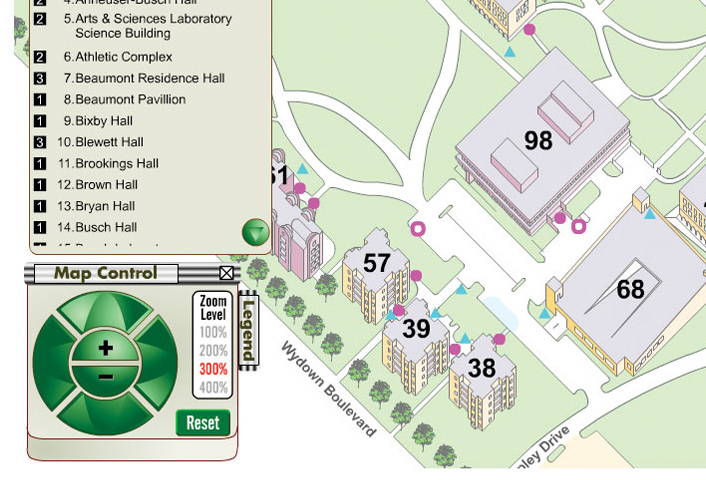 Collapsible menus give users the ability to target campus buildings by positioning the controls anywhere on the screen, zooming in and out, and panning in all directions. 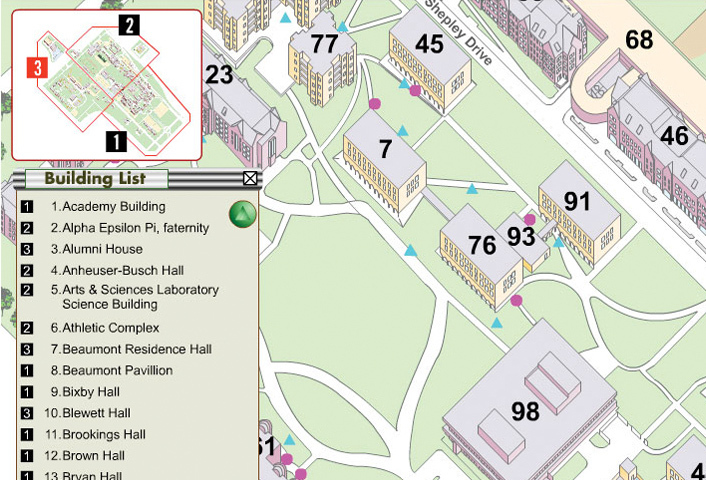 A second phase was proposed to allow the user to connect to individuals and departments within the map. Founded in 1853, Washington University is a private university counted among the world’s leaders in teaching and research located in suburban St. Louis, Missouri.